Garcia joins Els in Dubai snub: "They're putting a lot of pressure on us"
Sergio Garcia in action in last week’s WGC- HSBC Champions in Shanghai. Picture: Eoin Clarke/www.golffile.ieTiger Woods will give the organisers full value for their money when he opens proceedings in the Turkish Airlines Open by becoming the first golfer to hit balls from Europe into Asia over Istanbul’s iconic Bosphorus Bridge. But while the 14-time grand slam title winner will then take on Europe’s finest at the Montgomerie Maxx Royal course in Belek, he won’t have to beat the resting Graeme McDowell or Rory McIlroy, or the conspicuously absent Sergio Garcia or Ernie Els at the Montgomerie Maxx Royal course in Belek. Both Els and Garcia are giving the $7m event a miss and therefore cannot play next week’s DP World Tour Championship in Dubai as they will not have fulfilled the European Tour’s requirement that players play at least two of the three Final Series events . To say Els is unhappy with the European Tour’s set up of the Final Series would be an understatement, as The Guardian’s Ewan Murray explained in detail in his latest blog. Garcia is also deeply unhappy, having been denied the chance (along with David Lynn, Jonas Blixt and Martin Laird) to pick up any European Ryder Cup points for his 11th place finish in the recent PGA Tour event in Malaysia, the CIMB Classic, which clashed with the first event of the Final Series, the BMW Masters. The European Tour has yet to say why the CIMB Classic was not afforded the same status regarding the winning of European Ryder Cup points through the world rankings as every other sanctioned tournament on the planet. No doubt they will explain that one in due course but Garcia is plainly in the same camp as Els, as he told the excellent Spanish golf website Ten-golf.com in a recent radio interview. “It’s a small problem with the European Tour, which doesn’t make it easy for the players who have cards on both tours,” Garcia said when explaining why he was not going to be in Dubai next week. “I play Malaysia [CIMB Classic] and China (HSBC) because they help me tick off a few [PGA Tour] events for next year and I don’t have to push hard to play my 15 events in the US. “But instead of helping you, the European Tour tells you the points in Malaysia don’t count for the Ryder Cup qualifying.… We have to help each other here. The more barriers they put in your way, the tougher it is. They’re putting a lot of pressure on us. He was No 1 in all but name before the start but as Tiger Woods limped away with a recurrence of his back injury to vacate the throne, Rory hit Sergio Garcia with four thunderous blows in the first five holes and officially claimed the crown as he became only the second player since Woods to win a major and a WGC back-to-back when he claimed the Bridgestone Invitational by two strokes at Firestone on 15 under par. 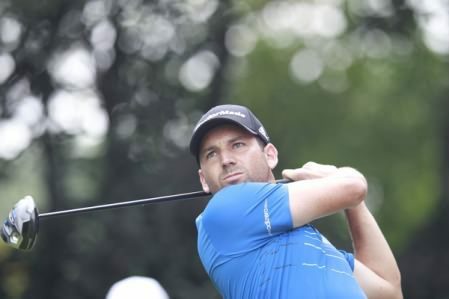 Sergio Garcia and Marcel Siem still have a mathematical chance of denying Rory McIlroy his second Race to Dubai crown in three years but the Spaniard and his Ryder Cup team mate Lee Westwood reckon the Ulsterman “deserves” to win the Harry Vardon Trophy for his “extraordinary” year. Shane Lowry opened with a frustrating two under 70 and trails leader Sergio Garcia by six shots after the opening round of the $7m BMW Masters at Lake Malaren in Shanghai. Colin Montgomerie has lashed absentee Ernie Els for missing the Volvo Masters. But Justin Rose, 27, is simply delighted that the Big Easy is 7,000 miles away at the Singapore Masters.